The tempdb is a system database which is available for all the users connected to that instance of SQL Server. Since tempdb is used by all users and the system by itself for all their temporary operations, it is very much important that we optimize the tempdb and follow best practices for getting better performance out of it. Create the number of data files for tempdb based on the number of CPU's present on that system. Example: if the system has 4 CPUs then create 4 data files for tempdb with one Log file. Place tempdb files on the fastest available Drive. Isolate tempdb on a separate disk from other databases. Make all the data files of tempdb the same size. Disable autogrow option for all tempdb files and make sure you have enough space in them. Make sure to Commit or Rollback the transactions and if not done, then any space allocated for that transaction may not be released. 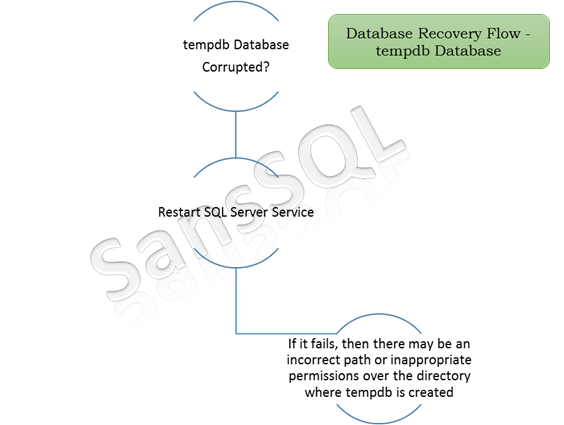 Piecemeal restore is a process which allows databases that contain multiple filegroups to be restored and recovered in stages. Which Version of SQL Server supports Piecemeal restore? Piecemeal restore was introduced in SQL Server 2005 and is supported in SQL Server 2005 and later versions. The Database should contain multiple files or filegroups and should have at least One Read-Only filegroup. Piecemeal restore works with all recovery models, but is more flexible for the full and bulk-logged models than for the simple model. In an offline piecemeal restore, the database is online after the partial-restore sequence. Filegroups that have not yet been restored remain offline, but they can be restored as you need them after taking the database offline. All editions of SQL Server 2005 and above support offline piecemeal restores. In an online piecemeal restore, after the partial-restore sequence, the database is online, and the primary filegroup and any recovered secondary filegroups are available. Filegroups that have not yet been restored remain offline, but they can be restored as needed while the database remains online. SQL Server 2005 Enterprise Edition and later versions support Online piecemeal restores. We know that Primary Key is a must for setting up articles in Transactional Replication. This query list those tables which do not have Primary Key in that database. In one of my previous post "What is Statistics in SQL Server", I had explained about what is Statistics. Today, I am posting a Query which will update statistics on all user database in that Instance. This Query will exclude the system database and those database which are not in Read_Write status. Physical Inconsistency - One or more access paths to the data may be invalid. What are the causes that leads to database corruption?